Pergola on the Roof at Television Centre will open to the public for the first time this evening, as a summer-long rooftop eatery with four restaurants, two bars, and seating for 400 people. Designed as a vision of the Mediterranean, Pergola on the Roof will be a piece of sunny European escapism, with customers dining beneath a wooden open air pergola wrapped in evergreen ivy, wisteria and bougainvillea, and set against white washed walls with colourful murals. The iconic West London site will be welcoming award-winning charcuterie and bar Salt Yard, seasonal rotisserie LeCoq, and gourmet burger bar Patty & Bun. Chelsea’s ‘wild and foraged food’ restaurant Rabbit will also be offering a delicious bespoke menu as part of the 14-week residency on the rooftop. 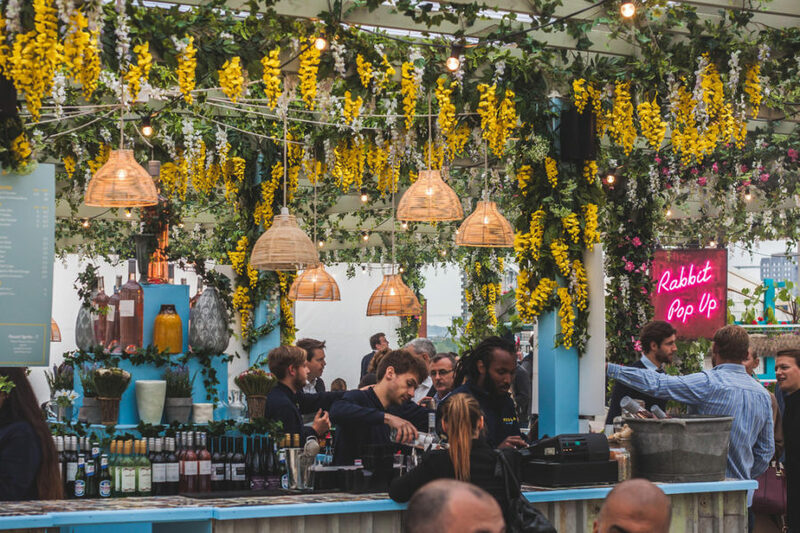 With food, drink and sweeping views of West London, Pergola on the Roof will make Television Centre one of the hottest destinations this summer.